Byju’s Classes, the number one education app in India, will be launched in Bahrain today at 6pm in a function to be held at the Indian Club. 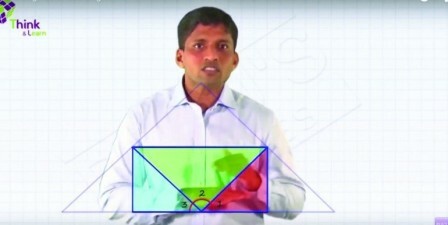 Byju’s Classes is the leading CAT, IIT, MEDICAL and JEE training institute in India, founded by Byju Raveendran, a serial CAT topper. Bahrain based Kensho Knowledge solution WLL and Global Institute for Management Science signed an agreement with Byju’s classes to expand their activities in Bahrain and other GCC countries. Byju’s Classes (Product of Think and Learn Ltd) is a phenomenal success story of perseverance to pursue one’s passion. It was consistently ranked among the top 50 educational apps in India and has crossed 1 million installs already. The learning app is a unique product that is powered by three world-class teams – Rockstar teachers, World Class Media Production Team and Cutting Edge Technical Team. SPAC WLL in association with Byju’s classes and Kensho Global will also provide an opportunity for the CBSE students to meet and interact with Byju Raveendran. At the same time, SPAC WLL in association with Byju’s classes and Kensho Global will conduct an aptitude examination – ‘The Bahrain Brain Hunt-2015’ for CBSE students of classes 7 to 12 by Byju Raveendran. The aptitude test topper will receive the grand prize of Byju’s learning app preloaded for a year. Online registration can be done at www.kenshoglobal.com, or at Kensho Knowledge solutions office at New Zinj, or at Global Institute, Mahooz.